BELMONT, Bronx (WABC) -- At least two people were injured in a house fire in the Bronx on Friday morning. 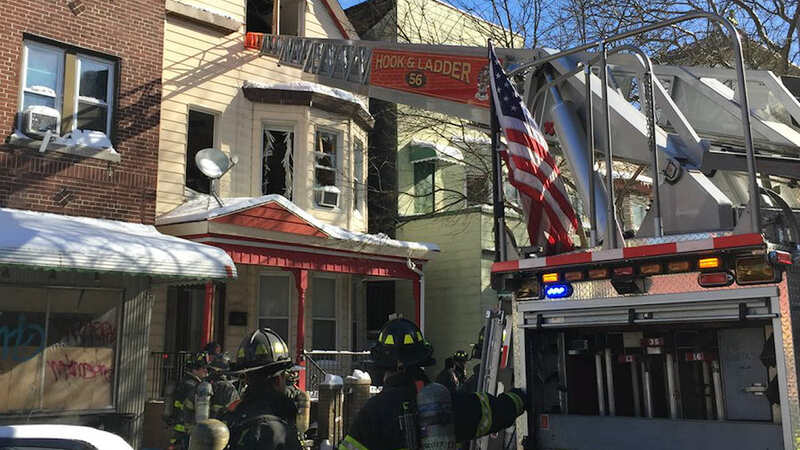 The fire broke out in the two-story home around 9:30 a.m. on East 187th Street in the Belmont section. It was under control as of 10:44 a.m.
Of the two people injured, one man is in serious condition at St. Barnabas Hospital. The other person is expected to survive. The fire spread to a neighboring home.